Having enjoyed an impressive popularity resurgence in recent years, gin is currently taking the drinks market by storm. Last year, for instance, gin sales in the UK surpassed the £1 billion mark for the first time ever, and are predicted to steadily increase in the near future, what with just about every London bar jumping on board to accommodate demand. But it’s not just London and our famous gins that are being embraced, instead many distillers are constantly crafting their own gin, featuring various unique flavour combinations. One new gin to have caught our attention of late is The Exiles Irish Gin distilled by Irish premium spirits brand The Wild Geese. 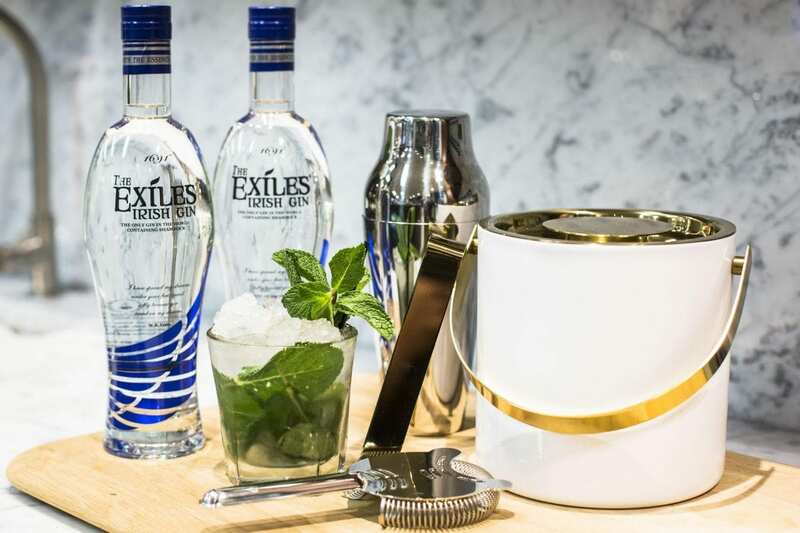 Becoming the first gin to feature real shamrock (in true Irish fashion) The Exiles works especially well with herb-infused gin cocktails as a trendy alternative to a more classic gin and tonic. So in accordance, this weekend’s cocktail recipe is for The Wild Geese’s take on the classic mint julep, featuring The Exiles Irish Gin. Mix the ingredients together in a cocktail shaker before straining into a glass of crushed ice. The Exiles Irish Gin is available for £28.99 from irishpremiumspirits.com.